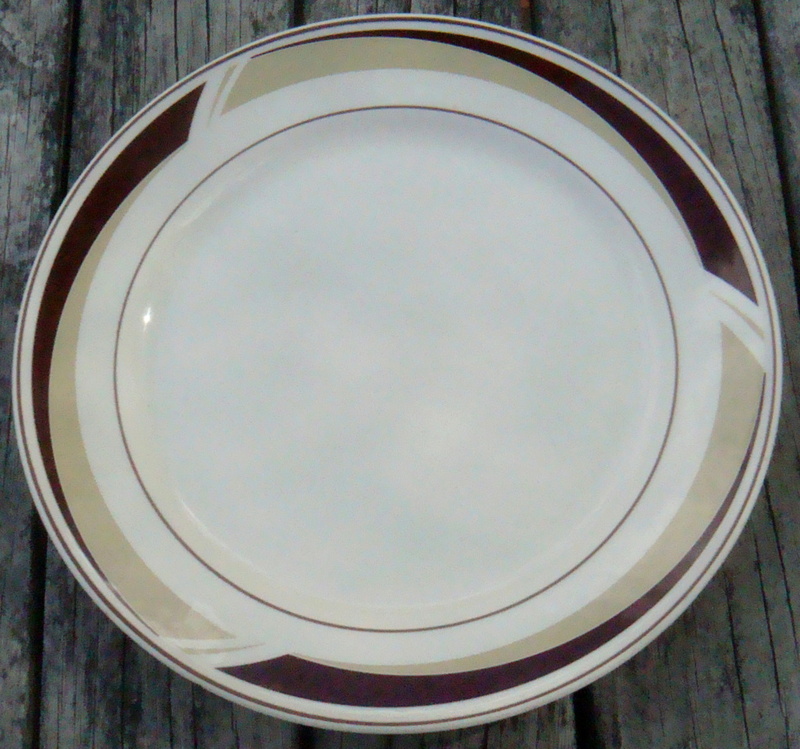 I found this old and very used plate, and for some season thought it might be Crown Lynn. The shape and pattern did not immediately attract me, but it was the feel when I picked it up. I turned it over, and was initially a little disappointed, but then the backstamp called to me. That line of little green dots reminds me so much of the Forma backstamp, and it's printed in green like the Forma. 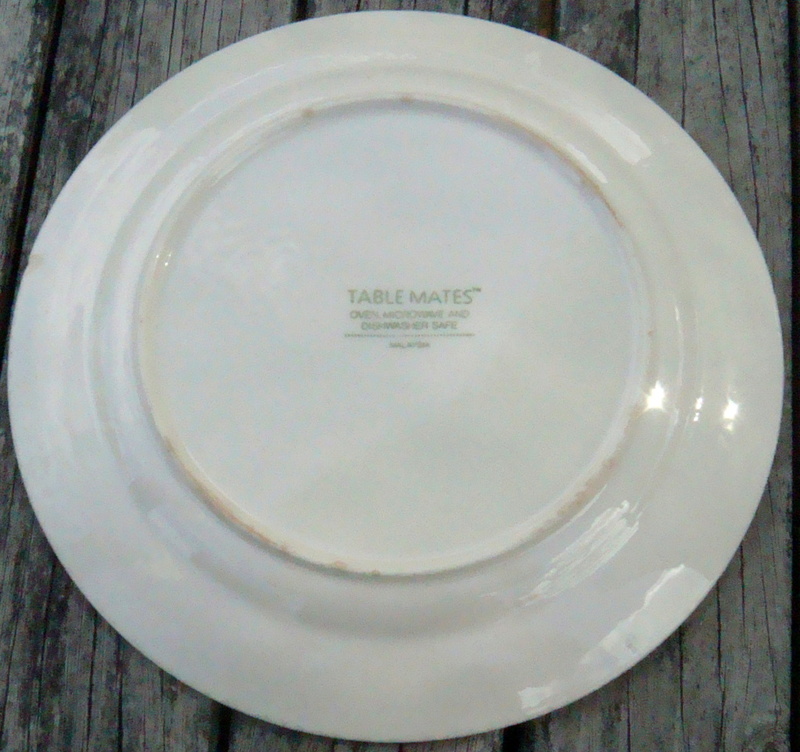 Re: Is 'Table Mates' Malaysia made by Crown Lynn? I do know that GBH bought all of the machinery and the name when Crown Lynn closed. Chris Harvey was involved, so perhaps he would know. That backstamp has got me stumped. Page 104 in Val's Book third column says that Crown Lynn exported to Malaysia. 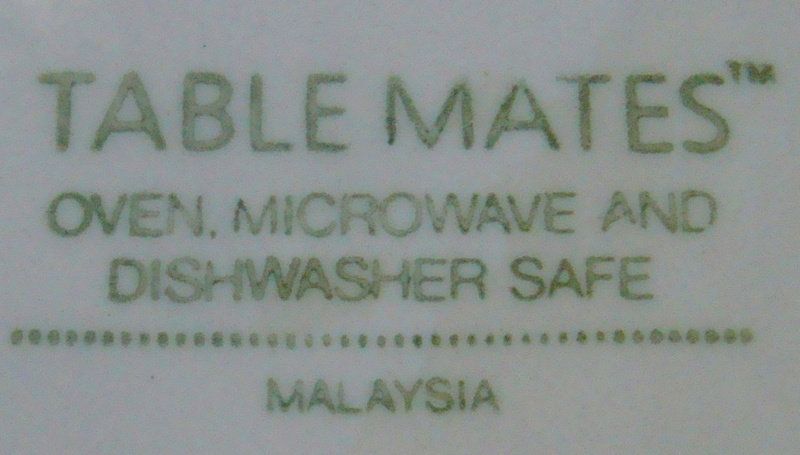 if they exported from NZ to Malaysia, would they mark the plates NZ or Malaysia though? 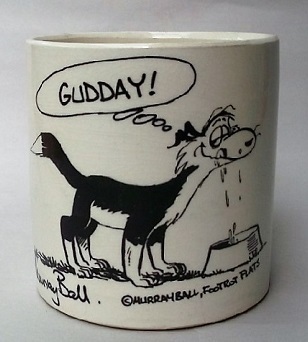 There are many hits for Table Mates crockery on this search. Trying to find the Trademark registration and found heaps of listings on ebay. Nikko Ceramics seems to be involved? ?